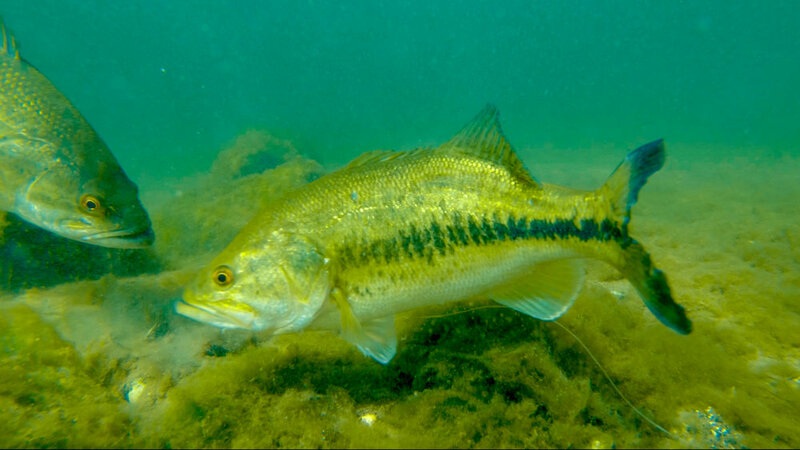 Ready for more Underwater Jig Footage?! These Arizona Bass couldn't resist a flippin' jig! Ever wonder what that "tick" at the end of your line really looks like? Check this out! If the footage isn't enough just wait to the end when the GIANT eats the jig and we catch her! So many anglers take a "swing first, ask questions later" approach to bed fishing. While this works once in a while it does a lot more harm than good. It can turn the fish "negative" very quickly, destroying your chances of a legitimate catch. Not to mention you may snag the bass in the process. Watch closely and you'll notice how many times this bass bites without getting the hook. Its important to pay attention and not swing on the wrong pick up. Wait until the bass has fully engulfed the bait. You'll notice in the above water clip that Matt loads the road before swinging on the smaller fish, this is to confirm that is has the hook and not just the tails. Keep in mind, if they spit out the bait, as long as you haven't "stung" the bass it will bite again. There is no hurry to swing on the first bite. Its a much safer bet to wait for the right bite, set once, and get solid hook placement than it is to swing for the fences early and lose the bass altogether.